No matter how I style my hair, I'm always looking to make sure that I finish off the style with slick edges -- you know, those edges that look tamed and restrained, but not so much so that they've been slicked within an inch of their lives. Yeah, something like that. I've done lists about products for slicking edges before, (here and here), but this time around I'm going to share my edge slicking hacks. Almost everyone loves EcoStyler. It's cheap, comes in a lifetime supply vat, and can be used for anything from braidouts, to wash and gos, to edges. Eco's one drawback? Sometimes it works a little too well. I like to soften my gel cast with Sunny Isle JBCO, by either applying it to my edges directly before the gel, or mixing the two together in my palm then applying. I've tried the Eco Styler with other oils, and it seems to work the best (in terms of frizz-free hold) with the Jamaican Black Castor Oil. I purchase my Eco Styler and Sunny Isle from Sally's. Eco Styler is on sale for $3.99 this month, and Sunny Isle JBCO is $1 off! Lay Them Edges Trick: A spray bottle of water is your best friend here. 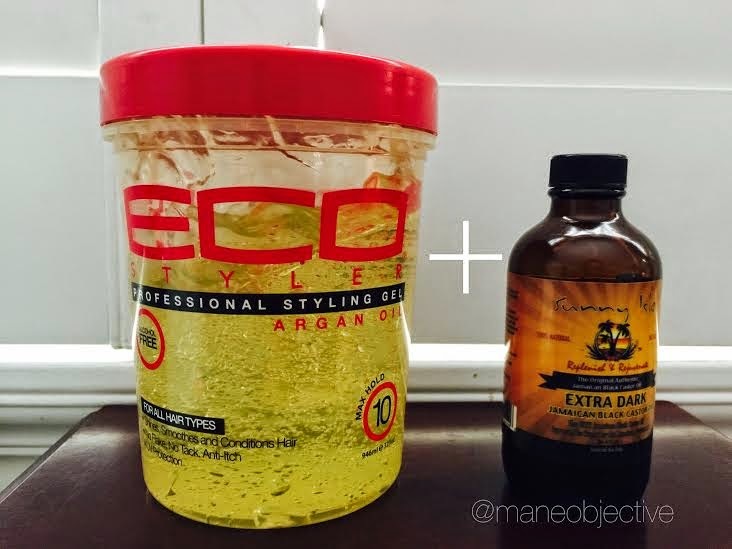 Not only will a little water make your edges more pliable (plus rehydrate them), it allows the gel and oil mixture to capture your hair as it is in the wet state, knocking out the frizz halo. In my eyes, Eden BodyWorks can do no wrong. Their Control Edge Glaze is no exception. It's clear, thick, smells like smiles from heaven, has just the right amount of tack, and comes in a 6oz jar for under $10. For the record, most jars of edge control products are 4oz or less. I love using the Control Edge Glaze with my wash and go styles, or for that rare occasion bun. It provides slickness, shine, and keeps the edges hydrated and nourished with a water-based blend of aloe vera, shea butter, coconut oil, and more. I purchase mine from Sally's, whenever there's a good Eden BodyWorks sale to take advantage of. Lay Them Edges Trick: Because this glaze is water-based, there's no need to apply even more water to your edges. The best way to apply Control Edge Glaze is by taking a small scoop on the pad of your finger and dabbing it along the perimeter of your edges, then using your finger to go back over and smooth the product on your edges in small sections. You want to apply a moderate amount of pressure (without poking yourself too hard in the head) when slicking back the Control Edge Glaze. This helps plant it in place. 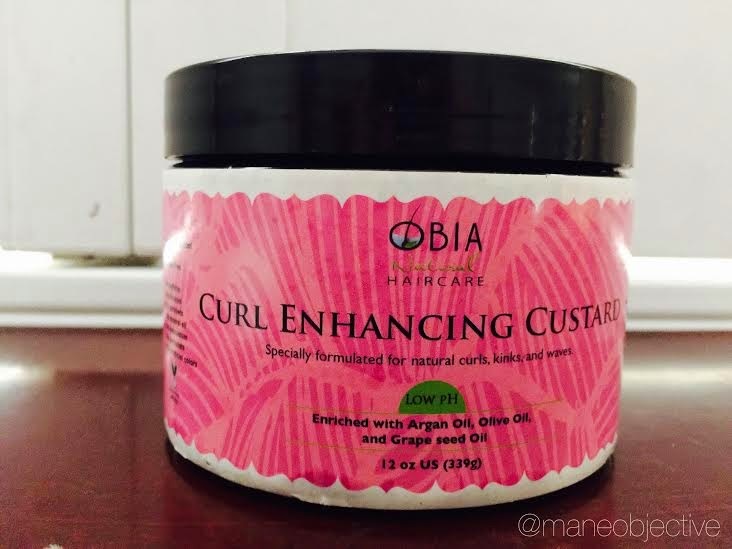 Obia's Curl Enhancing Custard is my ultimate 2-fer. Not only does it produce some super fly wash and go's, it will surely have your edges slicked back and under control. Made with olive, grapeseed, and argan oils, the Curl Enhancing Custard gives hair softness and shine along with major definition. And your edges? Tamed without being crunchy and hard. Lay Them Edges Trick: My favorite time to use Obia Curl Enhancing Custard is when I'm setting a wash and go. After applying the Custard to my hair, I like to (while it's still wet), apply a little more to my edges by rubbing the Custard in my palms and using them to slick the edges back. If you're not rocking a wash and go, using a spray bottle before hitting your edges with the Custard and tying them down for 10 minutes with a satin scarf will keep everything in check. I purchase my Curl Enhancing Custard directly from www.obianaturalhair.com. Word on the street is there's a great Black Friday sale coming. Whoever works on the fragrances over at CURLS needs a pay raise for this one. 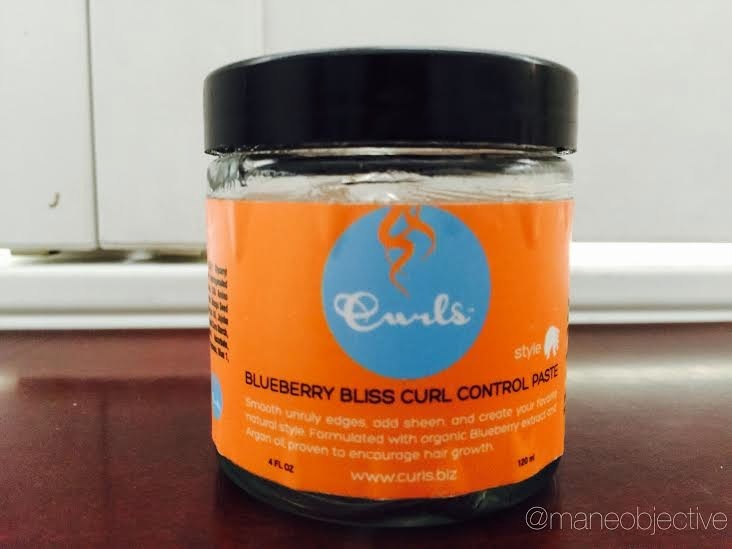 I fell in love with the BlueBerry Bliss Curl Control Paste from the moment I opened the jar. It smells sooooooooooooooo good. Like, if they ever came out with a Blueberry Bliss Hair Fragrance Spray...I'd be the first to sign up and buy. Anywho, between the Blueberry and Passionfruit pastes that CURLS has, I'm a fan of the former. The Passionfruit Paste is good too -- it just isn't as stiff and doesn't have nearly as much hold as its blueberry brethren. In addition to smelling like candy, sunshine, and rainbows, the Blueberry Bliss Curl Control Paste hydrates the edeges (it's water based), and provides nourishment and re-inforces them with glycerin, castor oil, keratin, and hydrolyzed quinoa. CURLS originally sent me my first jar of Blueberry Bliss, but I replenished at Target. 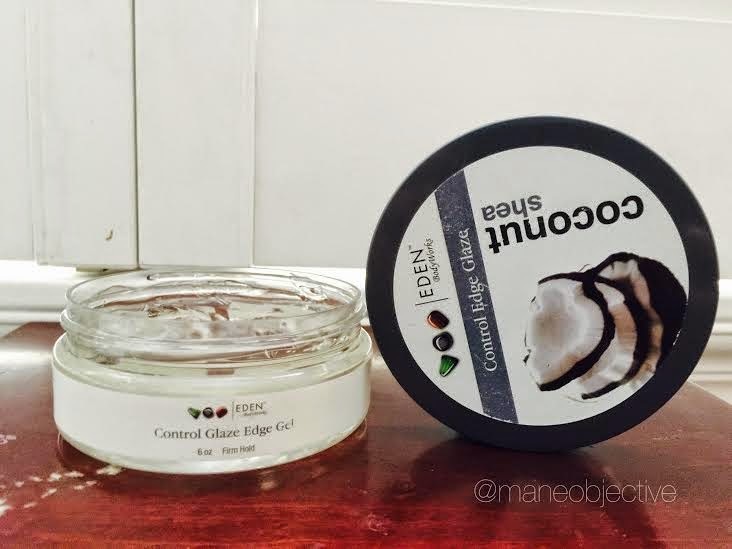 Lay Them Edges Trick: See Eden BodyWorks Coconut Shea Control Edge Glaze. These two are of a similar consistency and function. I just keep them both around because well, I like them both. This edge tamer is really only one I pull out when I'm finishing off a look with straightened, stretched, or blown out hair. Basically, hair that I don't want to revert back due to water content in the product. 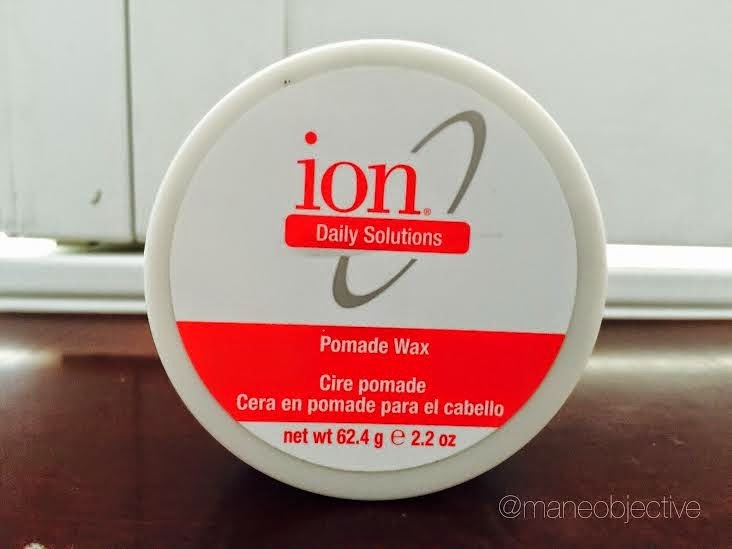 Although the Ion Pomade Wax does contain water, for whatever reason it doesn't cause the same level of reversion as the others I mentioned previously in this list. It contains castor oil and glycerin, among about a dozen other ingredients I don't recognize. It's anything but natural, but it gets the job done. I purchased mine at Sally's. Lay Them Edges Trick: I know you still have a fine tooth or rat tail comb somewhere. Get it out and dip the smooth side into the pomade, scooping it out. Use the backside of the comb to apply the product around the perimeter of the edges, and applying moderate pressure, sleek them back. You can alternate between using the teeth of the comb (on the edges only!) and the back of the comb to slick and shape your edges. This super moisturizing butter blend isn't really an edge tamer per-se, it's more like an edge saver. It can be used to stimulate thinning or weak edges, keep them soft and moisturized, and even work miracles on your skin. 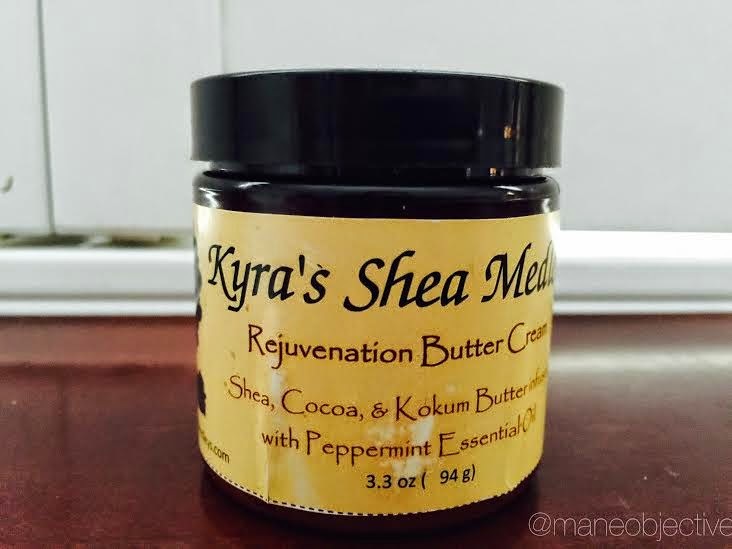 Rejuvenation Butter Cream is a part of my nightly regimen, and has been for some time. But it can be used as a soft hold edge tamer too! Grab yours at www.kyrasheamedleys.com. Lay Them Edges Trick: If you're looking for a super soft natural hold with tons of shine, spray your edges first with water, and then rub the Butter Cream in your palms. Use your palms to slick the Butter Cream through the hair, and follow it with a soft-bristle brush. Repeat the steps until you're satisfied, and finish off with a satin scarf for 10-15 minutes while you finish getting ready. 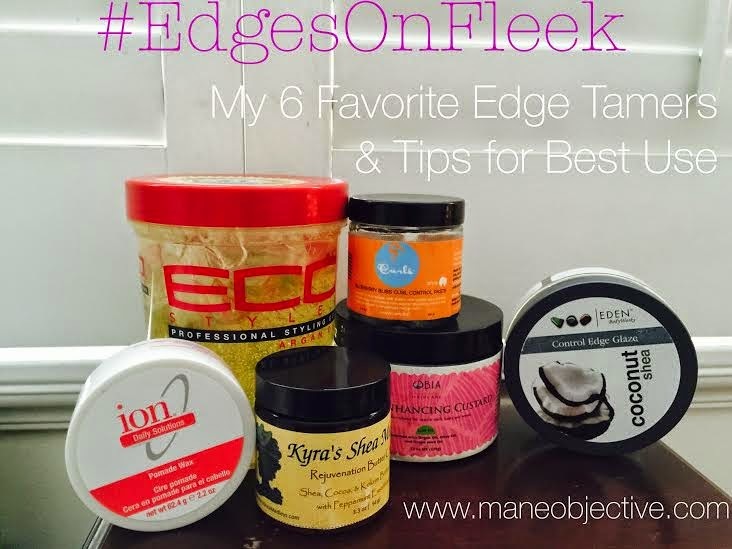 What products and hacks do you use to keep your #edgesonfleek? Have you tied the keracare edge tamer? It's all types of expensive, but i've seen Monica from Moknows hair use it and it looks like an edge taming boss. Like those edges aren't going anywhere anytime soon. I keep seeing it in stores, but I'm not ready to spend nearly $20 on 4oz of edge slick lol. That upper echelon pricing is reserved for top of the line curl definers lmao!